The condition of the dead is similar to the condition of a person who sails down a very dangerous river. Prayer for the dead is like a lifeline that we can throw to our sinking neighbors and family. If the gate of eternity somehow unlocked in front of our eyes and made it possible for us to see the hundreds and thousands of millions of people hoping to get to the peaceful haven, could our hearts not be moved and tremble at the sight of our fellow Christians and our kin invoking our prayerful help? 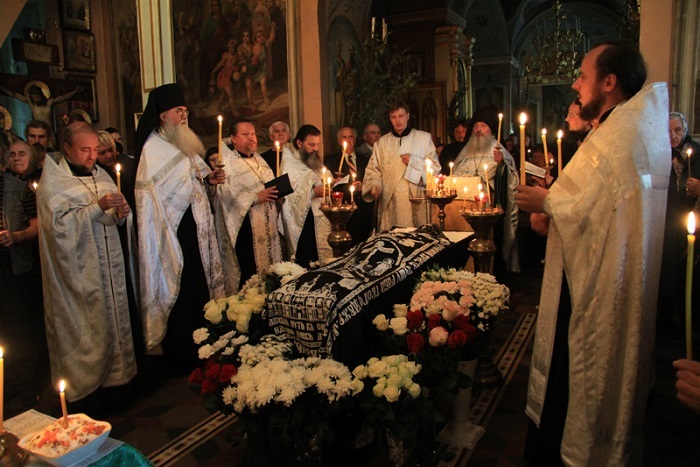 Here is an incredible yet true story from the life of one parish of our Russian Church, which demonstrates how vital prayers for the dead are and proves that there is interaction between us and the other world. 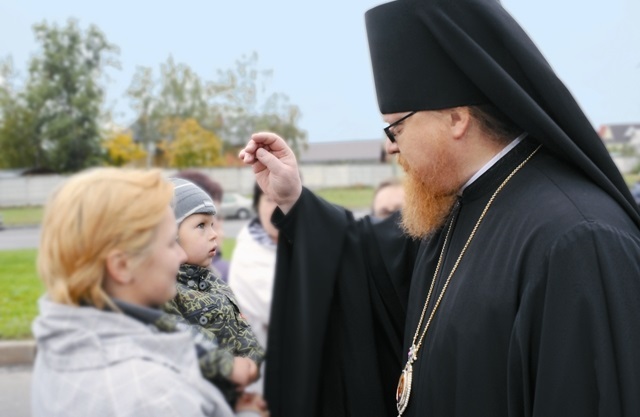 A priest who served in a village called Lysogorka died. A young priest was sent to replace him but died unexpectedly in the sanctuary in the middle of his first liturgy. The bishop sent another priest but the same fate befell him, too. On the very first day of his ministry, after the Lord’s Prayer and the communion verse, the priest didn’t come out of the altar with the Holy Gifts. When the church warden entered the sanctuary, he saw the priest lying dead in full priestly gear near the Holy Table. All people were terrified at learning about his mysterious death. They didn’t know the reason for it, so they concluded that their parish was guilty of a grave sin, given that two innocent people died prematurely. Rumors about that unfortunate parish spread widely among the priests who served in nearby parishes. None of the priests wanted to fill the vacant position in that parish. While the choir was singing the Lord’s Prayer, the priest was getting more and more nervous so he ordered to open both side doors leading to the altar and the Royal Door. While reading the communion verse, he saw a silhouette behind the High Place. That silhouette was becoming more and more visible. Finally, the priest saw a gloomy image of a fully-clad priest whose arms and legs were bound by chains. The elderly hieromonk was shivering and stammering out the prayer. After a while, he recovered from the shock, summoned his spirit, and went out to the flock. Everyone could see that he had witnessed something eerie. The ghost was still there, clanking his chains and pointing at a box, which stood in the altar. As soon as the Liturgy was over, the hieromonk called the warden, and they opened the box. They were surprised to find out that it was full of… prayer notes. It turned out that when parishioners had brought their prayer notes to the late priest, he hadn’t read them. Instead, he had put them into a box to be read later. At last, the elder found out the reason of the scary vision. He began serving panikhidas daily for all the dead whose names were on those prayer notes. 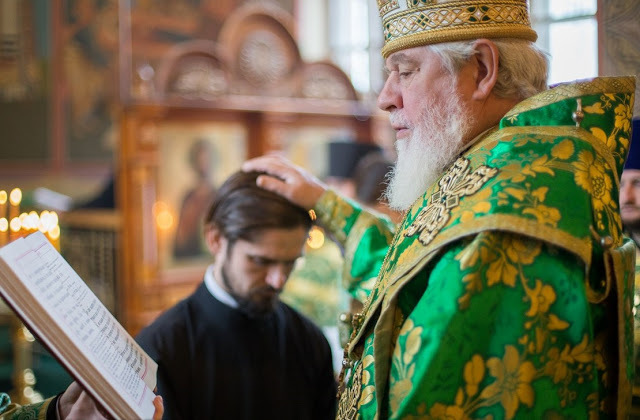 He celebrated a Liturgy for the soul of the reposed priest the following Sunday. When the choir started singing the communion verse, the silhouette of the dead priest appeared again. This time, he didn’t look desperate and gloomy. His face was bright and happy, and there were no chains on his arms and legs. When the elderly hieromonk took the Holy Communion, the ghost bowed to him and disappeared. This example allows us to see how prayers for the dead benefit them and make their eternal fates easier. It is no accident that we are talking about it today. This weekend, the Holy Church is going to celebrate a special day known as the Meatfare Memorial Saturday. 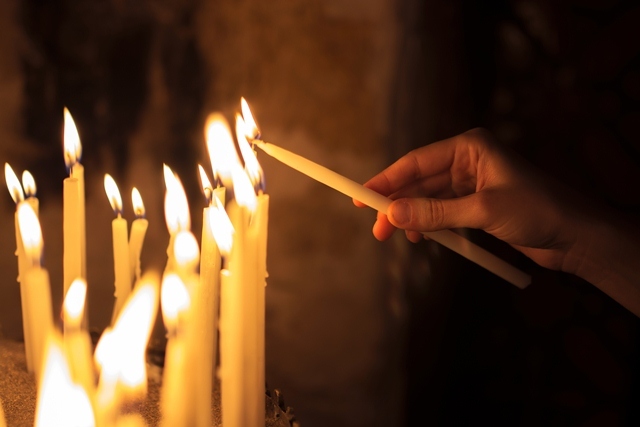 All Orthodox Christians will come together to pray before God’s Throne for the blissful repose of our fellow Christians who have passed away. The Church will commemorate the frightful Second Coming of our Lord and the end of the world on Meatfare Sunday. The Holy Church urges all Her members to be prepared for the Last Judgment and insists that we pray to the Righteous Judge for our departed relatives so that their sins be forgiven and the road leading from the dark underworld into the bright abode of the Heavenly Father open unto them. Dear brothers and sisters, let us offer our prayers to Christ our God and cry out to him wholeheartedly, With the saints give rest, O Christ, to the souls of Thy departed servants, where there is neither sickness nor sorrow nor sighing, but life everlasting. Amen. Can a Laymen Give a Blessing? 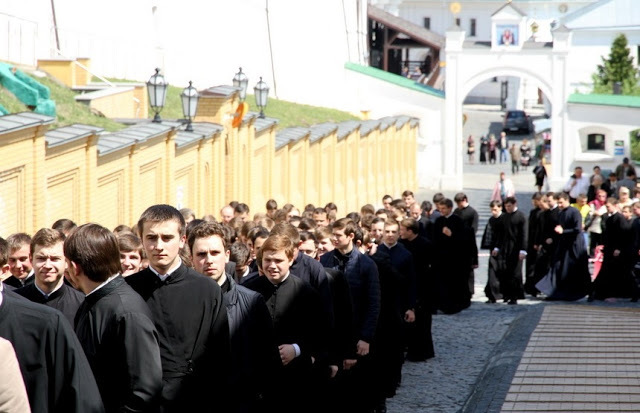 Why Do Seminarians Wear the Cassock?